Aside from our diverse catalog of vinyl products, Eastern Shore Porch & Patio also offers chain link fence installation for residential and commercial customers. Chain link fences are a cost-effective and practical way to protect your property. They are also an effective solution for temporary fencing for security needs, as they can be easily installed, removed, and reused. Just like our vinyl fences, chain link fences are virtually maintenance-free. 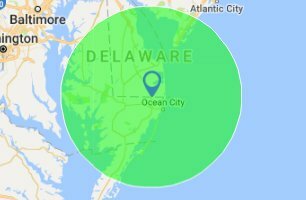 Eastern Shore Porch & Patio is proud to be the premier vinyl fence sales, vinyl fence installation, and chain link fence installation company for the Fenwick, Salisbury, Ocean City, and Delmarva areas.